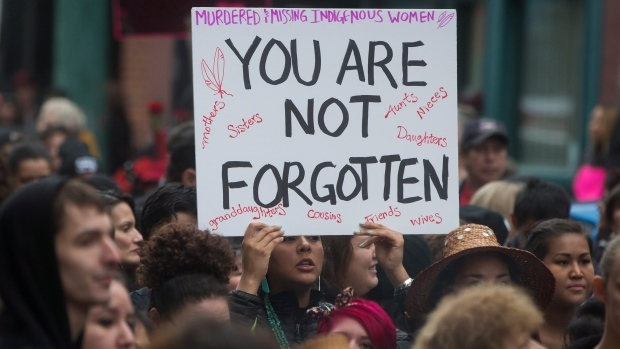 An annual report by human rights watchdog Amnesty International has put the spotlight on the rights of Canada’s indigenous people, highlighting the Liberal government’s vow to develop a public inquiry into missing and murdered aboriginal women. Canada was among 160 countries and territories included in Amnesty International’s annual report, which looked at land rights, counter-terrorism and security and the global response to the refugee crisis in 2015. With a promise to convene an inquiry this year, the new Liberal government has begun the pre-inquiry consultation process. Alain Roy, director of programs at Amnesty International (Canada), said in an interview with CTV’s News Channel on Wednesday that the group was “encouraged” that an inquiry will begin shortly. “We want that to happen, it’s important that families and communities are heard and that an action plan is put in place,” Roy said. The report highlighted the construction of the Site C Dam, a $9-billion project by BC Hydro for a hydroelectric dam on the Peace River in northeastern British Columbia. The report said that Site C dam construction began in 2015 “without addressing its impact on the rights” of First Nations. “We believe that the harm that will be caused justifies halting construction of that dam and we wish the government to heed that call,” Roy said. The report also called out Canada’s new anti-terrorism law, known as Bill C-51, saying that “sweeping reforms” to national security laws raise human rights concerns. “It expands the authority of the Canadian government agencies to share information about individuals without adequate safeguards and allows the Canadian Security Intelligence Service to take measures to reduce security, even if such measures would violate rights,” the report stated. Beyond Canada, the annual report included a scathing criticism of Europe, saying the world’s richest trading block – with the exception of Germany – failed to manage the crisis appropriately. On News Channel, Roy said the world has not “seen an effective response to the refugee crisis yet, as collectively, countries have “failed to implement” a humane solution.